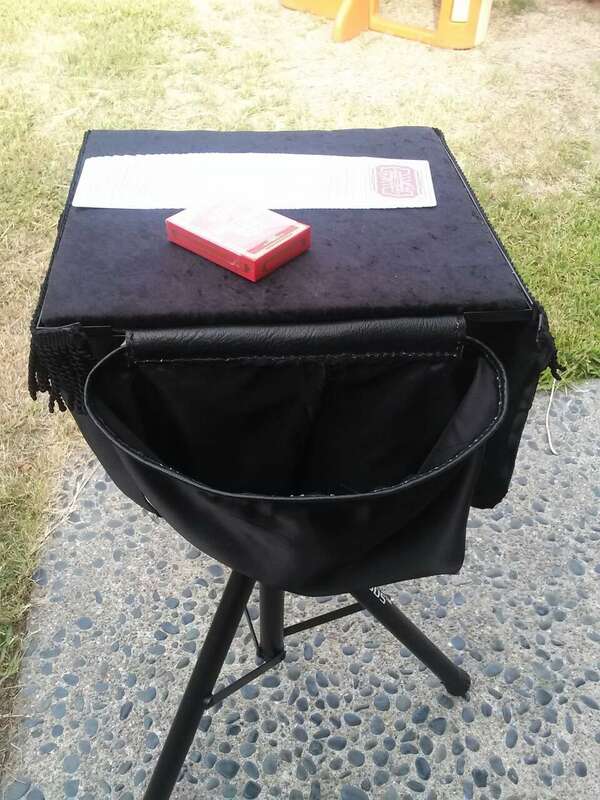 Custom collapsable table for magicians and performers. 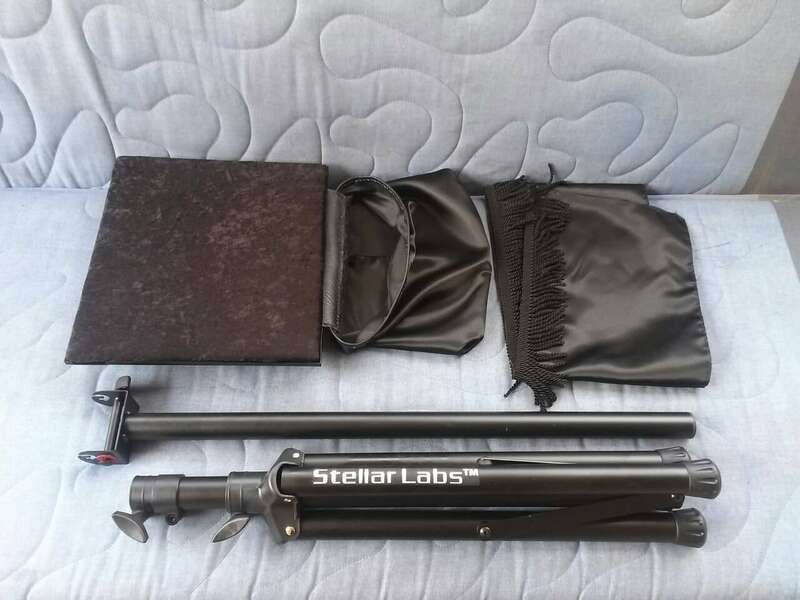 Collapsable Stellar Labs tripod stand that we modify with a suede leather or velvet close up pad (your choice of color and texture)and satin servante ditch bag. 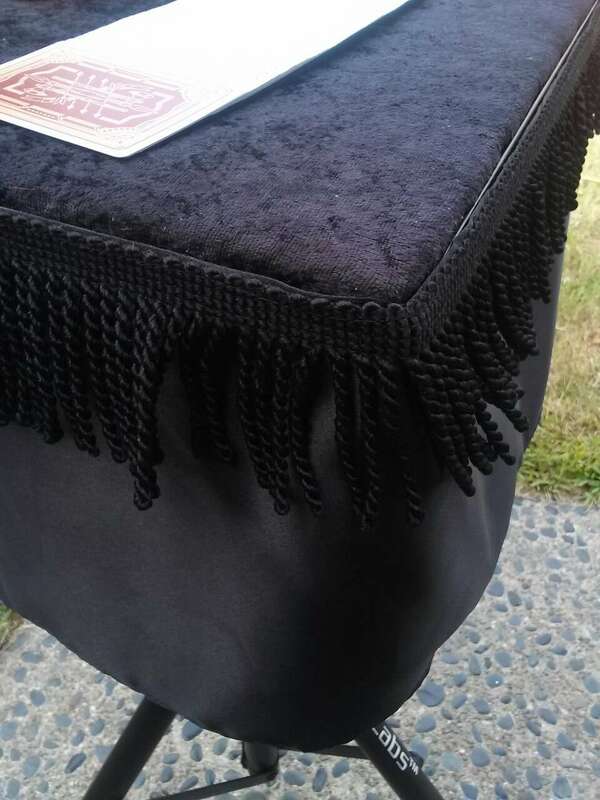 Satin and fringe skirt. Assemble or disassemble in less than a minute! 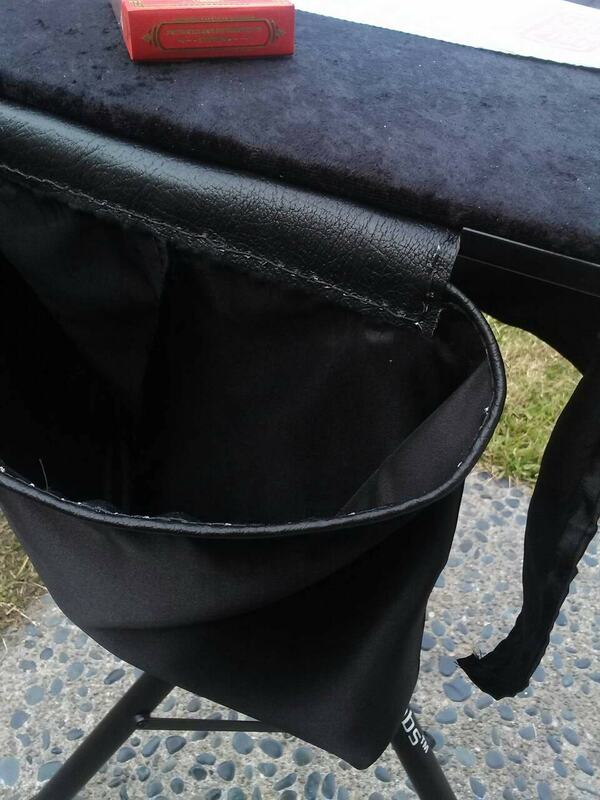 Adjustable height of 36 in to 60 in tall! 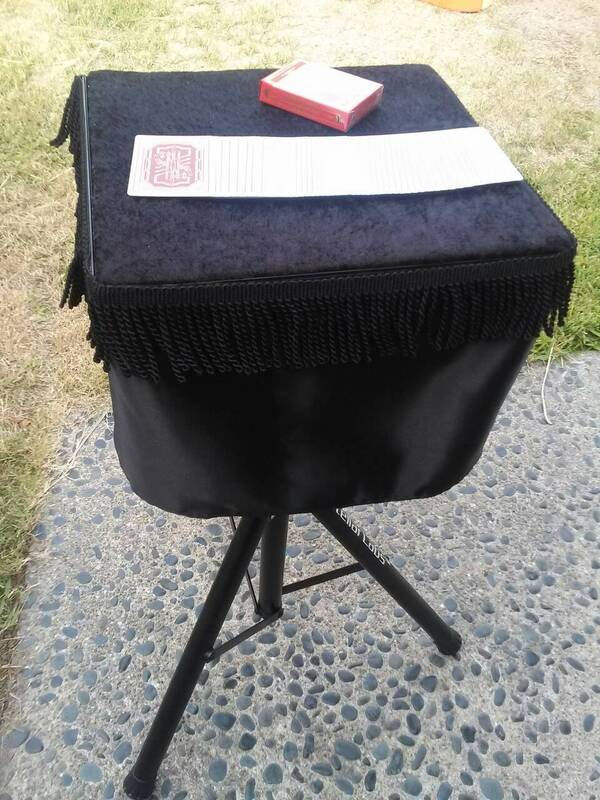 Top measures 13 3/4 in x 12 in.Perfect for stage, parlour, close up, and busking!